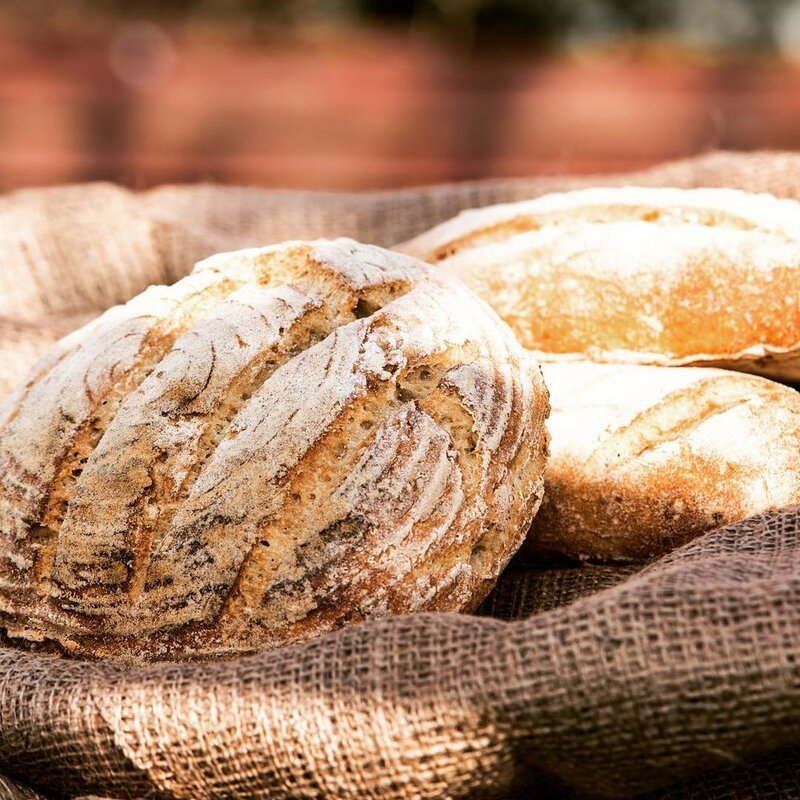 Rana's GF Artisan Bread create the finest gluten free artisan bread and bread mixes, for home bakers, caterers and restaurants. I adore your business. What made you decide to set up your own business? I was diagnosed with Coeliac disease 7 years ago, which mean’t I had to follow a strict gluten free diet. The thing I missed the most was a delicious crusty bread! I couldn’t find this anywhere, so thought I should do something about it. What did you call your business Rana's GF Artisan Bread? I never would have thought about naming the business after myself. It was my business partner (Alexander), and his wife (Olivia) who had the idea. It’s such a personal business, that means so much to me, so they thought we should make it personal and name it after me! Our process changes every day! We are constantly developing and improving. We worked with a wonderful baker and scientist from the US called Charles. Myself and the team continue to learn and develop. Gluten free baking is so different to any other baking, so the information and knowledge isn’t always available, so it’s about experimenting and learning things for ourselves. Have you always been into baking and cooking? I’ve always loved cooking, and trying lots of different types of foods. We use a lot of traditional baking equipment, and have also had to develop new ways of using things because our dough is so different from gluten dough. Starting a food business (or any business), is much easier with social media. It’s a great way to show potential customers your products, without a huge marketing spend. We love to use it to receive feedback from customers as well. Do you have any favourite recipes that you adore at the moment? I’ve just started making my own infused oils. I’m obsessed with our freshly baked flatbread with a range of infused oils. So simple, but really delicious. My favourite so far is my basil infused olive oil. What do we hope to see in this up and coming year for your Instagram page and your work? We’ve just been working on our packing, so you’ll probably see more of our new wax lined paper bags. We are really pleased that the majority of our packaging has switched from plastic to paper. So many things! We are looking to improve our website, to make it easier to order subscription boxes to your door, all over the UK! We are also experimenting with gluten free & vegan pastry. What has been your favourite bread to make? I love them all! I can’t choose between them! The bagel is still alot of fun to make though. I’m usually up at 5:30am. It’s super early so I need a good breakfast to start my day. I usually leave the house and head to the bakery about 6:30am. I’m usually helping the baking team in the morning and keeping an eye on the products going in and out the ovens. The afternoons are usually meetings and catching up on emails. I’m home around 5pm, where I try to have an hour to relax or go to the gym. Then it’s dinner and back on emails! I NEED sleep, so I’m usually asleep by 10pm. What is your career plan with your business? There is still so much to grow and develop with our business. My business partner and my jobs are constantly developing and changing. Our responsibilities range from helping out the bakers, product development, marketing, customer service to accounting! That’s what you have to do when running a small business. We are lucky to have such a great team now, which means we can focus a bit more on growing the business. The two things we found hardest - first was to find a space. We produce everything ourselves, and don’t use a manufacturer like many new food businesses. It was hard to find a good and affordable space in London. The second was cash! We were very lucky to have some savings and generous friends and family to help us start out. Write a really good business plan. This will give you some focus to get started. Your business in reality will probably be very different, but it’s a useful starting point. Also, just do it! So many people talk about starting a business, or have an idea. The only difference between entrepreneurs and people with ideas, are that they just get on with it. Head to their website ‘https://www.ranasbakery.com’ for all their delicious bread mixes and more! You can also find them on Facebook ‘https://www.facebook.com/Ranasbakery’ and Instagram ‘https://www.instagram.com/gf.ranas.bread’.